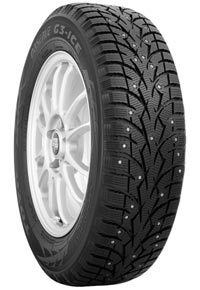 Improves traction on ice and compact snow during cornering, braking and acceleration. Increases tread block rigidity. Improves traction as ground walnut shells dig and bite into the snow and ice. Environmentally-friendly natural material. Ensures tread blocks remain flexible in lower temperatures. Enhances wet braking and handling even in lower temperatures. Improves road contact and traction with fewer studs. Reduces noise, resulting in a quieter ride. Able to accept TSMI #11 studs to aid in ice traction.